Light and Dark, Good and Evil… sets of two different things which exist by themselves but make no sense until somebody sees the difference between them. A wall has two sides. A room – four walls with a floor and a roof, determines an inside and an outside. Because the walls have two sides and because somebody built it. Two points are distinct if there is some space between them. Two points belong to the same line if the distance between them is full of other points. All this discreteness is made possible by space. Which simultaneously encompasses each of the discrete pieces of matter and separates them. On the other hand, matter is discrete in yet another manner. In time. Manny trees live longer than us and mountains last way longer than trees. Yet nothing is forever. Nor have existed for always. Not our Sun nor even the small pieces which inhabit the subatomic world. Each piece of everything comes into existence and decays into oblivion. Each organism is born into this world and eventually dies – releasing its components for further use. All this discrete becoming being made possible by time. Which simultaneously encompasses and separates each event. 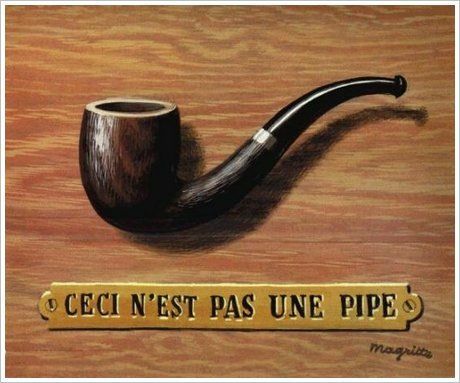 Similarly to the aforementioned room, neither matter, space or time makes any sense on its own. Not even together. They might exist but they have no significance until noticed. There is an almost unanimous consensus about laws having to be considered either natural or man made. As in the law of gravity is implacable – hence ‘natural’, while the Penal Code is a lot more ‘amenable’. Then how come Hammurabi had been able to write his Code some three and a half Millennia before Newton famously noticed that apples do fall to the ground? Besides being such irresistible objects of temptation, of course. One way out would be to assume that Hammurabi was a lot smarter than Newton but that would be too easy, don’t you think? Now that I’ve mentioned the noticing game, let me point out some of my own observations. People have tried to fly way before Newton had told them this is impossible – for us, at least. Individuals might occasionally get away with murder but murderous societies are far less stable than the more peaceful ones. Gravity has been already ‘defeated’ while no totalitarian government has yet managed to ‘stay afloat’ in a consistent manner – no matter how many dissidents it had murdered. Another approach to this conundrum would be to consider that natural laws deal with the non responsive kind of chaos while man made ones are meant to approximate what happens when the chaos is able to respond to what’s being thrown in it. For instance weather and financial market. No one can change the weather – hence it is considered a non-responsive kind of chaos, while the market is constantly pushed one way or another by the various pieces of information that reaches the participants. Which participants respond to those inputs – according to their own abilities and preferences, hence the ‘responsive’ character of the market. So, could we consider that nature is non-responsively chaotic while humans behave equally chaotic but in a responsive manner? The key word here being ‘we’, of course. After all, we have coined the very concept of law, we are the ones speaking about the difference between ‘natural’ and ‘man made’ and we have discovered, formulated and eventually bent all laws… both natural and man made. It seems that the whole situation is a lot foggier than at the begging. Let me use another tack. First of all, let me notice that we’re surrounded by ‘things’. And that these things relate to each other. And to us, of course. From this point of view, the world is made of things AND of the relationships that appear amongst these things. And here’s the catch. Laws are not things. They are a small part of the relationships that appear between the things that exist in this world. And since we’ve already discovered that there are a lot more things around us than we will ever be able to ‘see’/notice, it would be unreasonably to expect us to be able to notice all the relationships that ‘tie together’ the world. That doesn’t mean we shouldn’t try! Returning to what we call ‘laws’, let me add yet another classification. ‘Noticed’ laws versus ‘pro-active’ laws. In this sense ‘thou shalt not kill’, the Law of Gravity and ‘drive on one side only’ are, all three of them, ‘noticed’ laws. In the sense that things remain in order as long as we observe these laws. On the other hand, pro-active laws are a lot more trickier. While observing the noticed laws is essential in letting things flow naturally, imposing/accepting ‘pro-active’ laws is the recipe for disaster. Man made disaster. The Chicken-and-Egg Problem, Rephrased for the Sophisticated Grown-Ups Among Us. As a child I was introduced to the chicken and egg paradox by my grandmother – a very wise woman, despite (because?!?) the fact that she had very little formal education. As I grew up I found out that even the adults are passionate about it. Just Google it if you don’t believe me. Last time I checked the search engine had come up with 26 million (26 000 000 000) entries…. Then I was introduced to a slightly more interesting version of it. Who is responsible for what is going on around us. “Who created the World”, that is. Apparently we have three three camps. The theists, of various denominations – some of whom would cut each-other’s throats attempting to convince the ‘others’ that their God is the true one, believe that an outside agent is wholly responsible for the ‘Big-Bang’ and all its consequences. Or, at least, for ‘jump-starting’ the process. The atheists, some of whom are ‘rabid’ enough to be as obnoxious as some of the theists, who blame it all on Lady Luck. And the agnostics, like myself, who cannot make their minds one way or another. Now, and I hope you won’t mind, I’m going to enumerate some facts. We, the humans, are the ones who came up with the Big-Bang theory. Which is nice. It offers a generous canvas on which we might eventually thread a lot of ‘science’, but doesn’t, in any way, shape or form, offer even the slightest opportunity for the most imaginative amongst us to propose the flimsiest hypothesis about what started the whole process. The Big Bang Theory was initially devised by a Catholic priest, Georges Lemaitre, as yet another attempt to understand God’s ways. No matter what the various prophets and religious teachers have told us, all books – including the ‘holy’ ones – have been written by people. They might have been inspired by (a ?!?) God, there is no way of telling what happened in the minds of the writers, but all those books have been written by human hands. We, the humans, are the ones who consider this problem to be a very important one. So important, in fact, that even a newspaper otherwise busy with economic and political issues occasionally looks (up ?!?) at it. In its Christmas Day edition the Wall Street Journal published “Science Increasingly Makes the Case for God” by Eric Metaxas. Basically he author tells us the story of how Sagan started the hunt for ‘Extraterrestrial Intelligence’ and how the seemingly simple task ended up in a cul-de-sac. While Good Old Carl thought “that there were two important criteria for a planet to support life: The right kind of star, and a planet the right distance from that star” in time “our knowledge of the universe increased” and “it became clear that there were far more factors necessary for life than Sagan supposed”. So many in fact that some of us, Eric Metaxas included, now believe that “Probability said that even we shouldn’t be here”. “The usual claptrap, because something can’t be explained, it must be God.” (Mark Baxter’s comment on my FB wall) Or outright impossible, I might add, following Lord Kelvin’s example. In other words ‘if WE cannot figure it out then it either doesn’t exist or has been made by God’. But who made ‘God’ in the first place? And why? Are we even aware that what we call ‘God’ is nothing but an image? I’m not going to delve far into such intricacies like reminding you that no Orthodox Jew would ever pronounce the ‘true’ name of God but this is a powerful indication that our Elders were aware of the difference between reality and our ability to figure it out. So why do we keep making this mistake? Why do we still try to ‘invent’ an ‘outside agent’ whenever we don’t have enough information about how something came to be? That outside agent might very well exist, of course. Someplace, ‘out there’…. Or not. For all we know some things might happen just by pure chance. However improbable that might seem. To us! We cannot determine, as of now at least, either way. Then why insist? Any way? Some of you will tell me, quite appropriately, that ‘believing’ has brought us where we are now. That ‘faith’ has guided us through the dark nights when we would have otherwise lost our hope. That following the ‘ten commandments’ has kept us from killing each-other much more ‘passionately’ than we’ve done it. 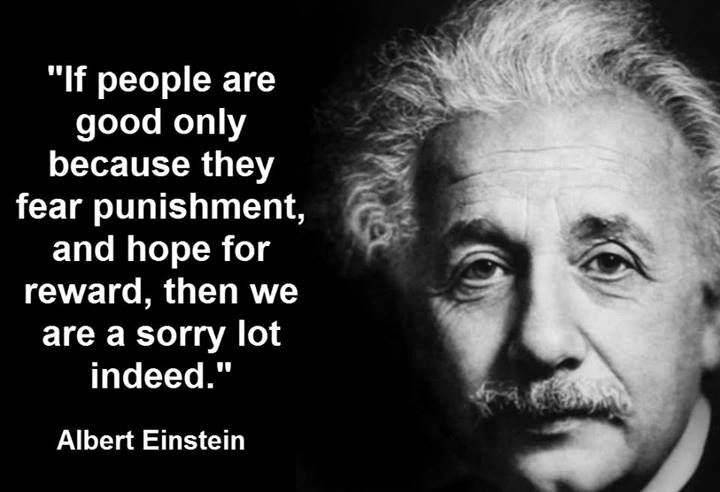 But now that we’ve understood what religion has done good for us, what’s keeping us from behaving ‘as if’? Without ‘God’, or whatever name you want to use for the reality that harbors us at its bosom, having to ‘strike’ us down from time to time? 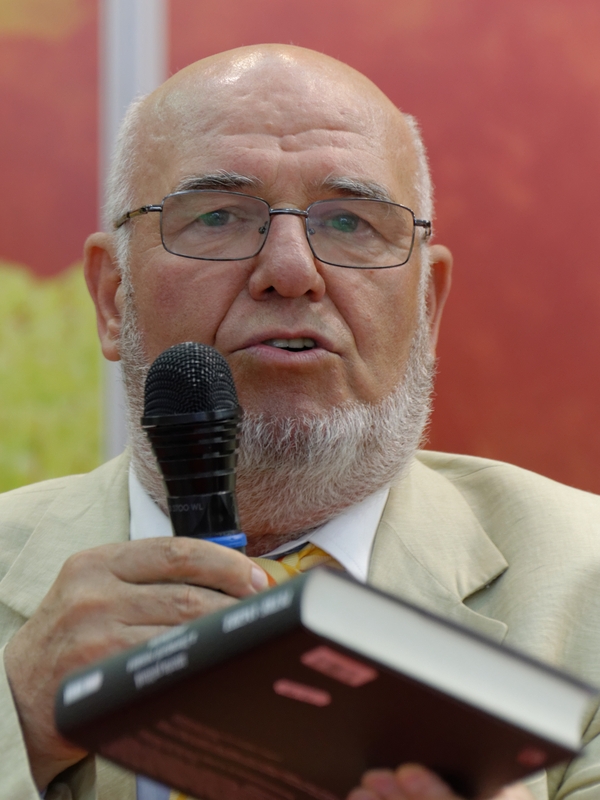 Petre Anghel, Bookfest 2014 Bucuresti. Sunt multe feluri de profesori. Unii stiu aproape tot dar nu sunt in stare sa comunice cu elevii lor. Unii sunt atat de convinsi ca le stiu pe toate incat nu sunt in stare sa inteleaga ca asa ceva nu se poate. Unii au realizat ca nu stiu nimic si se chinuie de o viata intreaga sa ascunda acest lucru. Altii stiu ca niciodata nu le poti sti pe toate dar ca aceasta imposibilitate nu e nici pe departe un motiv valabil pentru a renunta. Altii stiu ca singurul lucru pe care il poate face cu adevarat un profesor este sa se imparta, cu generozitate si cu buna credinta, celor din jurul sau. Altii au inteles ca adevarul iese, mai devreme sau mai tarziu, la iveala si de aceea umbla tot timpul cu sufletul in palma. Nietzsche was somewhat right only he went bonkers before he was able to shed some real light on what was going on. The point is that God didn’t die on his own. We killed him. Twice. And while the first time we were capable to fix the situation now we seem incapable to ‘make the right thing’. I have no way of knowing if it was God that created us or not. That’s something for others to decide. For me it’s enough that I see no evidence to support the first hypothesis except for some ‘testimonies’ provided by people with vested interests in the matter. I find those testimonies highly biased. Nor do I find any need for a Deus ex Machina kind of explanation for anything that exists in this Universe. Modern science has done a good enough job in explaining the world to me. On the other hand the second hypothesis is absolutely impossible to demonstrate. So, why bother? What I do know, for sure, is that at least one kind of God does exist. The one that has been created by us, people, a social representation whose existence stems directly from our mental relationship with Him – the One who supposedly created us. The mere existence of this ‘virtual’ God had two very important consequences. It brought us democracy and it provided us with a coherent way of understanding the world – a common Weltanschauung in German terms. I’ll make a short break here to elaborate a little. The common lore is that ‘God made us in his image’. This means that, basically, we are equals among ourselves – we’ve been all cast in the same mould, right? – and that each of us has a spark of divinity in him. Quite a heavy responsibility – being of a Godly nature – don’t you think? Hence the ‘do not kill/judge’ commandment. Who are we to play God towards other Gods? Also partaking in the same Weltanschauung was what offered us the possibility to act as a community, to help each other. For a while at least but it was good while it lasted. After all none of us could have done much by himself. In fact none of us is able to survive for long by himself, let alone thrive solitarily. Not even today, with all the modern technology that we now take for granted. We gave birth to our first generation of Gods, made exactly into our image, good and bad together, during the Antiquity. The Greek, Roman and German Gods were our look alike-s and shared our unruly behavior. Some of them even occasionally shared our beds. Then, at some point, we got cocky and abandoned them. Our philosophers thought they knew better than that and that they could come up with comprehensive solutions all by themselves. That’s how absolute authoritarianism ended up having official blessing from the Academia while the adoration of Gods was left for the unsuspecting masses. All hell broke loose from that moment. For some 6 centuries after Plato had wrote his Republic the Mediterranean Sea had been a string of empires toppling one another. Until we came up with a different kind of God. One that first and foremost told us to stop quarreling – for we were all brothers – and start living in communion. Until we killed him also. Not that we haven’t been forewarned. Pascal, the French mathematician, told us that it is completely irrational to reject the existence of God. If, in reality, God doesn’t exist the believer looses nothing and the non believer gains nothing – except for the lame satisfaction to be able to brag ‘I told you so’ after death. Conversely, if God does exist, then the believers are going to inherit the world while the non believers have dealt themselves the worst hand ever. Meanwhile, by living in a world structured by the presumed existence of God both believers and non believers enjoyed the two consequences I mentioned above – equality among people, even if only in theory, and the ability of doing things in concert, a lot more efficiently. Now, that we’ve killed God for a second time – the murder described by Nietzsche – we’ve lost it again. Only this time we didn’t lose just the hypothetical after-life, we’re gradually transforming this one – the only life we have for sure – into a bloody nightmare. And if you don’t believe me do as Lesek Kolakowski suggests. Now why can’t we make the small effort to understand what Pascal told us? Why is it so hard to understand that we are spoiling the beautiful life we might have if only we kept pretending that God existed and behaved accordingly? Why is it so hard at least to fake some respect for those who happen to share the planet with us? Fake respect is not as good as the genuine one, of course, but is a lot better than the huge amount of scorn that is publicly traded these days. Even more important is that if we won’t have to use so much energy in maintaining a force field to protect us from being drenched in scorn we’ll may be able to imagine a better world than the one we currently have to deal with. And, who knows, maybe we’ll have time to discover how beautiful we really are, inside our armors. A new (representation of) God would be born this way. Ever since Man became aware of the world around him he tried to find explanations for each and every individual occurrence that grabbed his attention. Eventually he became aware of the various links that exist between ‘things’ so he started to look for a ‘theory of everything’. Right now Man seems stuck in the middle of the road. I’ll assume the presumptuousness of my proposal but what about getting out of this sink hole by giving up mathematics as the main tool of investigation into the matter? After all mathematics is nothing but just another language. A special kind of language, OK – a lot more precise than all the others, but still a language – nothing but another medium for rational thinking. And just as it happens in any medium/language, nothing can be expressed in that medium before it has been ‘grappled’ with the mind. Of course that I don’t propose to give up mathematics altogether, that would be both ludicrous and absolutely inefficient. So what do we know about this so called Big Bang? – Planck says that things cannot be divided further than 1 quantum. – Heisenberg says that we cannot calculate anything with absolute precision. – Einstein says that everything is tied together – ‘relative’ to each other. – Stephen Hawking demonstrated – using calculus, of course – practically the same thing as Einstein when he convinced us that black holes are not exactly one way highways to nowhere. The implication of what Hawking says being that the ‘known’ Universe is somehow encapsulated towards the rear and has only one ‘open side’, the one that faces towards the ‘future’ – whatever that means. And we still look desperately for a precise description of what happened during and even before the ground/moment 0… Really?!? How about adopting a more practical attitude and accepting that each level of organization implies a certain amount of “in-determination”, the equivalent of those demonstrated by Heisenberg for the sub-atomic ‘world’ and by Schrodinger for ‘cats’ in general? And now, that we have reached this point, here is my scenario for what happened during … call it what you like. At first there was nothing. No space, no time, no matter/energy of any kind. ‘Nothing’ in the sense that everything that existed – and that still exists – was so ‘indiscriminate’ as to be completely uniform. The pure bred scientists would use ‘congruous to itself’ to describe this state. Amorphous would be a very weak term for what I have in mind. White light is a very pointy thing while pitch black is a lot more than its opposite. Light creates shadows, black creates opportunities. There can be ‘nothing’ between a light source and the observer while absolutely everything can hide in the dark. That was that existed ‘before’. An immense ‘black nothing’. Everything started/changed when the first ‘symmetry’ crashed in shatters – and who really cares about the ‘why’ of the matter since there was, by definition, no possible cause for anything, for nothing existed yet? I don’t know which symmetry and, again, I don’t really care. For me it is enough that from then on the continuous nothing became divided into ‘quanta’ that started to simultaneously aggregate furiously among themselves and disperse wildly. The aggregation process gave birth to what we now call ‘things’ (mater, energy) while the ‘dispersion’ gave birth to both space and time. Coming back to where we started from – ‘math can explain only what happened…’ – I must remind you that math cannot explain anything. Only people can do that, including through the use of ‘math’.